Winning a new certification is great news for a union, but also just the beginning of the battle to reach a collective agreement. Because collective bargaining is new to the workers and maybe the employer, there is often uncertainty, resistance, and sometimes a lack of experience in collective bargaining. Should First Contract Arbitration be Automatic? arbitration. Access to arbitration to resolve a first collective agreement is not automatic in Ontario (as it is, essentially, in Manitoba) and in fact is not used all that frequently. There are very specific criteria that need to be satisfied before arbitration will be ordered. The more normal route to resolve collective bargaining impasse is the “economic warfare” route of strikes and lockouts. (d) any other reason the Board considers relevant. We can see that it is possible for a union to obtain access to first contract arbitration even if the employer has not violated the duty to bargain in good faith (Section 17), although it helps the union’s cause if the employer has done so. A case issued this week by the OLRB demonstrates the application of this provision. It is called Park Lane Cadillac Ltd . The UFCW was certified in June 2015. The parties met to begin collective bargaining beginning in January 2016 and after several meetings a conciliation officer was brought in beginning in May 2016. The employer requested a no board report in June, ignoring a request by the union to continue bargaining. The union then filed an application for first contract arbitration. The Labour Board ruled that the employer had agreed to various collective agreement terms and the later resiled from those agreements. In many cases, the employer re-wrote the agreed language or left it out of draft agreements altogether. When the union objected to the changes the employer argued that they were meaningless semantic changes. The employer also made a late proposal to exclude a couple of positions from the bargaining unit which it had earlier agreed were in and which had been included in the unit by the Board when the union was certified. Eventually the employer refused to meet with the union, providing little explanation for its position. At the hearing, the employer claimed that it had refused to meet because it thought more meetings would be futile. The Board noted that this left little means for the parties to reach an agreement. 134. I am of the view that the responding party’s conduct in relation to the variations introduced by the June 2nd offer – however those were caused – satisfied all three of the criteria identified in subsection 43(2), especially as the effects of that course of action were exacerbated by Park Lane’s subsequent refusal to engage the Union after being apprised of its valid concerns about the disregard for previously settled terms. 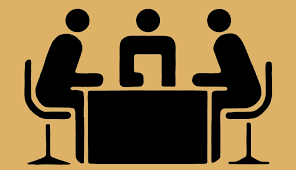 By insisting as it did on the [exclusion of the two jobs] after the delivery of the “no board”, the responding party was making the achievement of a collective agreement conditional upon the Union’s acceptance of a significant erosion of the established bargaining unit notwithstanding the applicant’s rejection of the proposal over the course of the bargaining to date. In doing so, Park Lane demonstrated its failure to recognize the Union’s bargaining authority, the uncompromising nature of a bargaining position it had adopted and maintained without reasonable justification, and its failure to make reasonable efforts to conclude a collective agreement. Therefore the OLRB ordered the matter to be referred to binding first contract arbitration. Ontario is undergoing an extensive review of its labour laws right now. One item that has been proposed by unions is easier or automatic access to first contract arbitration. You can read the discussion of this issue in the Interim Report on the Changing Workplaces Review (see part 4.3.2). Do you think there should be automatic access to first contract arbitration? What are arguments for and against such an approach?